On Thursday morning, MTV announced the nominees for the 2017 EMA Awards. Taylor Swift leads the pack with six nominations, including best artist and best video. 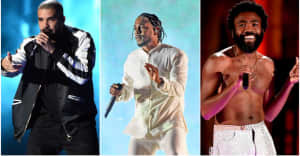 Ed Sheeran and Kendrick Lamar are both nominated for four awards. Find all of the nominees for the upcoming awards below. The 2017 EMAs take place in London on November 12 and will be hosted by Rita Ora.